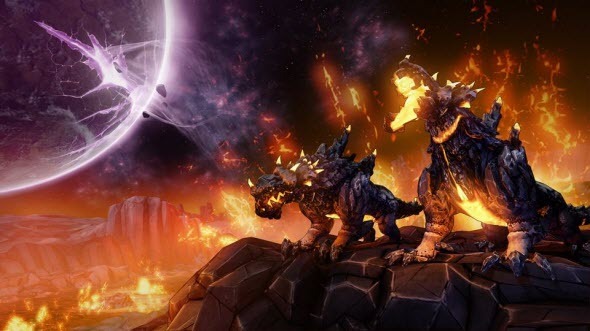 Just the day before yesterday we shared with you some rumors about the alleged game in Borderlands series, entitled Borderlands: The Pre-Sequel, and already today we would like to tell you lots of fresh information about it. 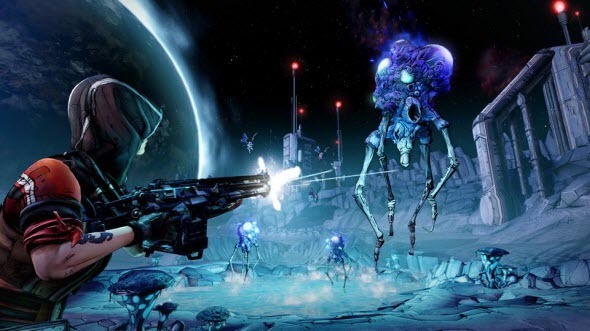 Thus, a couple of hours ago Randy Pitchford, the president Gearbox Software, and the general manager of 2K Australia - Tony Lawrence - officially confirmed that Borderlands: The Pre-Sequel game is currently under the development and will be released this autumn. According to the official information, this project is a standalone game, which will be launched on the current generation of consoles and PC. As for the playable characters, here you will be able to choose one of four heroes that already familiar to the series’ fans - Athena, Nisha, Wilhelm or Fragtrap. They are the members of Handsome Jack’s team. And the latter one that is surprising a bit will be neither dictator, nor villain in this game. The project, according to the developers, is a kind of a fresh look at the whole series, and so even a notorious villain Handsome Jack may become a positive character. 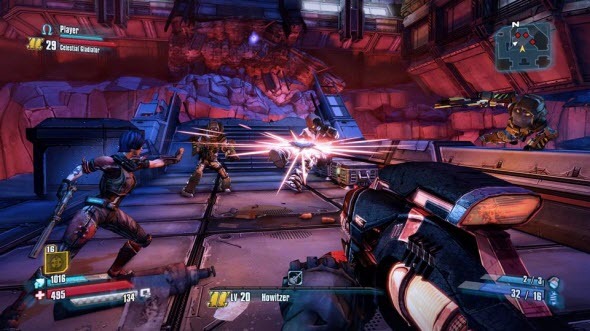 In addition, it has become known that in Borderlands: The Pre-Sequel will be many new types of weapons such as various laser guns, cryogenic weapons and shields that will reduce the damage. But that's not all. 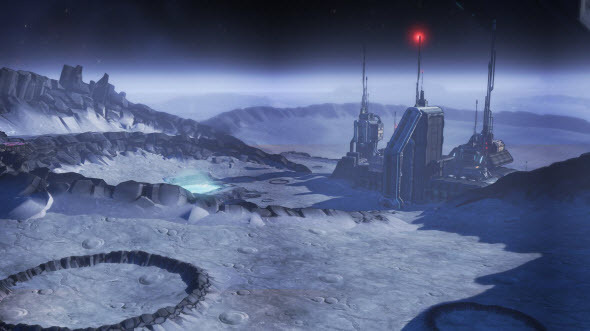 Since the game takes place on the moon, so the oxygen and the gravity will be playing an important role in the game. The first one should to be used very rationally, and the second one, which differs from the Earth's gravity, will allow you to jump high, but it will slow down your movements. 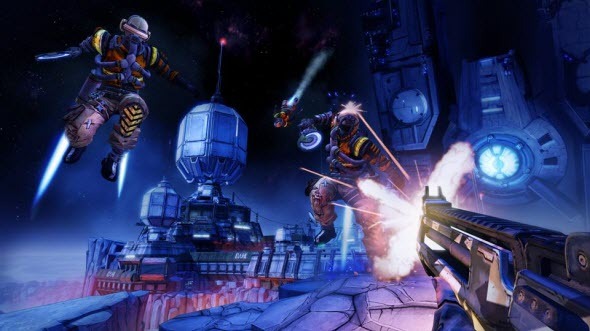 And in order you be able to imagine how Borderlands: The Pre-Sequel game will look like, we suggest you watching some gameplay videos of the project. And the last thing that we would like to present you today is first Borderlands: The Pre-Sequel screenshots, published below. What do you think about this game? 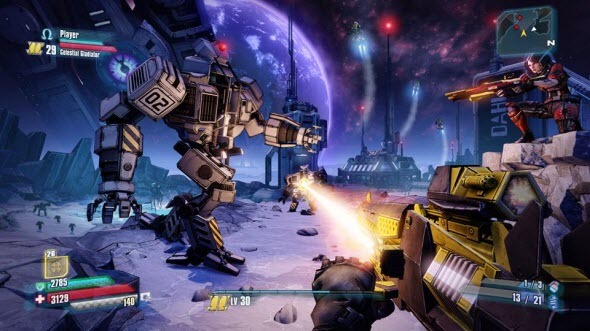 Did you like Borderlands: The Pre-Sequel screenshots and trailers? We would be glad to see your answers at the bottom of the page.